watching our cat while we were away last summer. I made a set of monogrammed note cards for them, using patterned paper from K & Co., and a monogram stamp set from JustRite. I'm not so sure this stamp set is available anymore, to be honest with you. I like the fancy font of the monogram, surrounded by the flourishes. 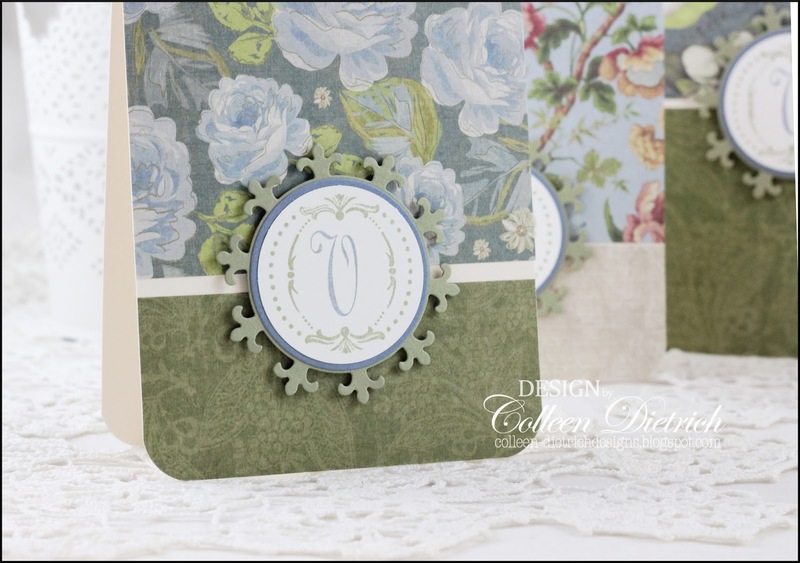 If I could do this set of cards over again, I'd stamp the monogram letter in black, to make it stand out more. Thanks for taking a peek today! Be blessed! These are sooo Beautiful! Such a wonderful gift! Very pretty and what a wonderful gift. You could do it in black, but it's beautiful as is, too. Bet your neighbors loved these. 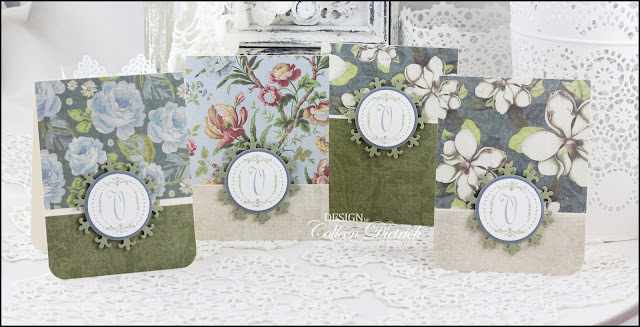 Gorgeous papers! Colleen these are beautiful and I'm sure they were loved!! Blessings to you too!! These are gorgeous. Fantastic thoughtful gift.